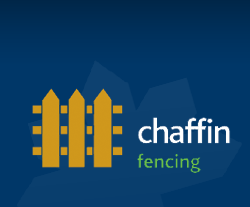 Chaffin Fencing provide a comprehensive range of commercial, agricultural and residential fencing installation services, including steel and metal fences where a high level of fencing security is required. We are based in the heart of East Sussex, at our yard just north of Polegate and outside Eastbourne. We work closely with businesses, property developers, local authorities and the Highways Agency, fulfilling the large scale commercial and industrial fencing requirements of these various organisations. We are holders of BSI accreditations for the supply and installation of fencing products, are a National Highways Sector Schemes approved contractor, and are a Trading Standards ‘Buy with Confidence’ approved business. We also supply and install residential fencing for homeowners ranging from a domestic garden gate to perimeter fencing for larger estates. Whether you need to enclose an entire industrial site with a secure, intruder resistant barrier or simply install fencing on one side of your garden, Chaffin Fencing has the resources and the expertise to get the job done. Please contact us to discuss your fencing requirements or for a no-obligation quote.